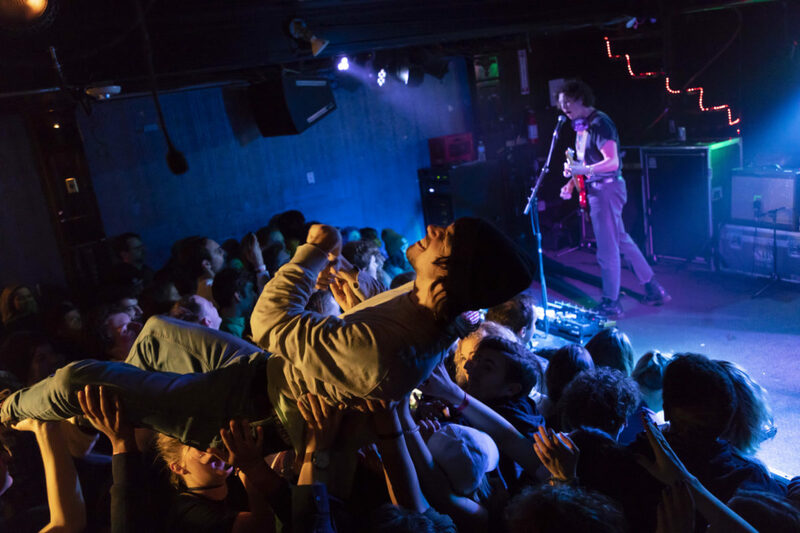 Mary Grace Ritter | The Phoenix Hockey Dad, an Australian duo based in New York, performed an exhilirating sold-out show at Subterranean in Chicago. 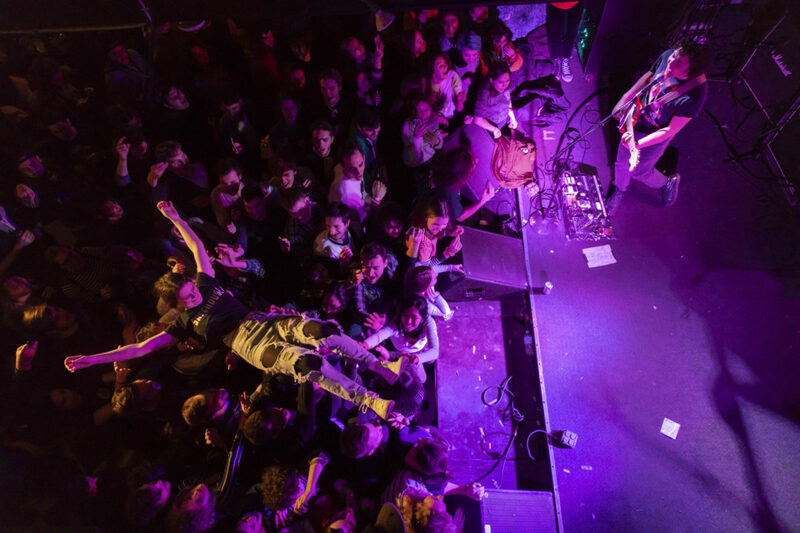 With crowdsurfing, stunts and leaps from balconies, the band rocked and rolled. As it made its way through the hills and plains of the Midwest, Australian duo Hockey Dad could be caught making stops at obscure roadside attractions and listening to classic country music. Not necessarily the music choice one might expect from the surf rock band from down under, but it seems to work as it rocked a sold out Subterranean (2011 W. North Ave.) Feb 1. 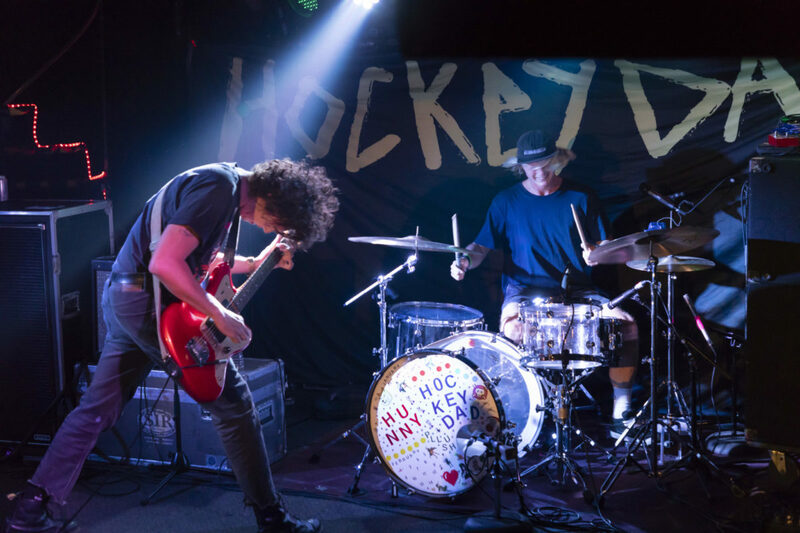 The show was a part of Hockey Dad’s co-headlining tour with California-based indie rock band Hunny. San Francisco-based band Pllush opened the show with its unique mix of rock and dream-pop. The crowd ebbed and swayed as Pllush’s frontwoman, Karli Helm, prepared fans for the acts to follow. After warming up, the crowd jolted to life as Hunny took the stage to “Rebel Red,” the opening track off its extended play (EP) “Windows II.” That jolt didn’t seem to leave the crowd for the rest of the show as fans jumped along to each song. Hunny’s lead singer, Jason Yarger, interacted with the crowd, holding out the microphone and grabbing hands throughout the performance. 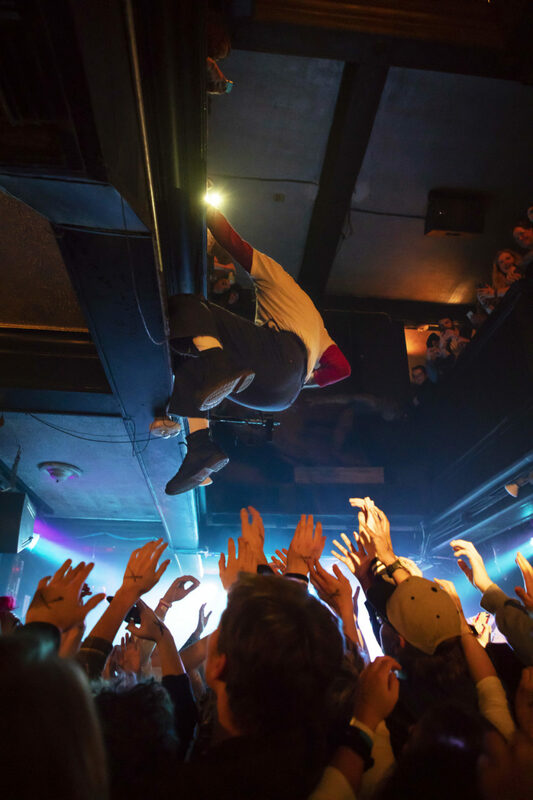 Yarger took the band’s closing track “Televised” to push the limits of stage diving using the balcony which begins above either side of the stage and wraps around the room. He threw the microphone up, dashed up the stairs in the back of the stage and sang from the balcony. As the song carried on, he climbed over the railing, preparing to fall into the crowd below. He dove into the audience and crowd surfed back to the stage in true rock ‘n’ roll fashion. After giving fans a breather, Hockey Dad took the stage and opened with its track “Homely Feeling” off their 2018 album “Blend Inn,” jumping right into the fast guitar riffs of lead singer and guitarist Zach Stephenson and percussion of drummer Billy Fleming. Stephenson donned a tiny, sequined cowboy hat he received from the crowd, but the elastic strap securing the hat didn’t stand a chance as he jammed on stage. In an interview with The Phoenix, Stephenson said the track “Sweet Release” was the easiest to write, but it came with its own challenges. 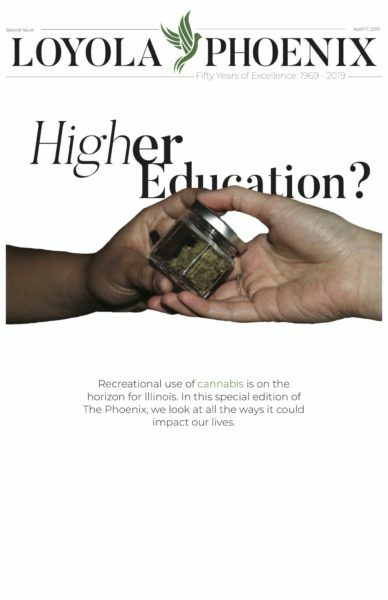 “It sort of all just came together in like 20 minutes from just messing around so that one was definitely the easiest to come together, but it was sort of the hardest to get right in the end,” Stephenson said. Drummer Billy Fleming “kept giving [Stephenson] strife” for the vocals on the song, so he took the lead. The hard work paid off as the crowd continued to mosh to the track and its explosive chorus. 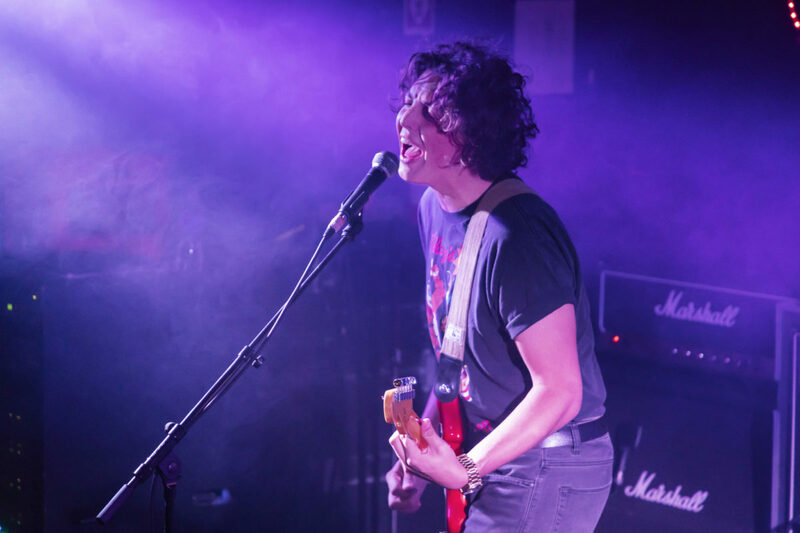 The band’s garage rock sound translated perfectly live as the high-energy songs added to the rowdiness of the audience. The concert was an endless cycle of shoving, movement and crowd surfing as fans played follow the leader climbing on the stage to immediately jump off. Stephenson and Fleming kept the mood up in between songs as they bantered with the crowd trying to find the source of a mysterious liquid dripping from the balcony of Subterranean onto the stage. It turned out to be condensation from the air conditioner above. 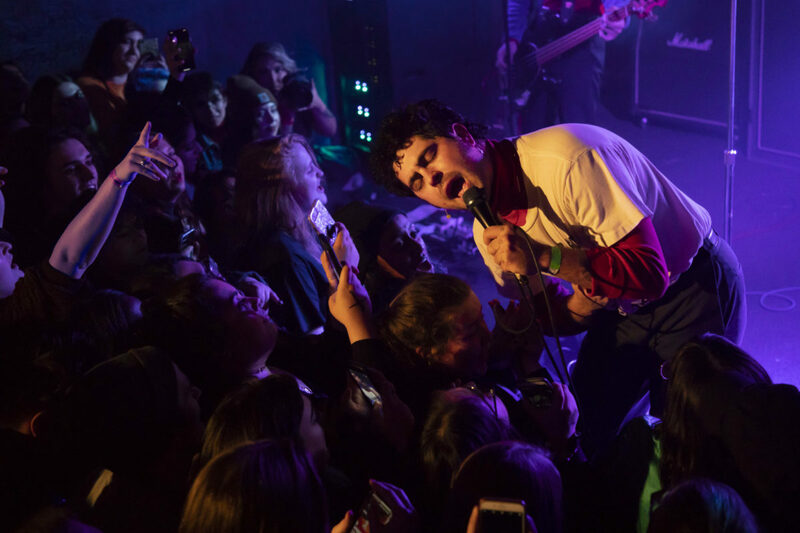 The energy of the audience didn’t seem to dwindle as the band played the last song on the setlist, “Seaweed.” As the final beats of the drum faded out and crew members began to clear the stage, fans still had more to give and demanded one more song. 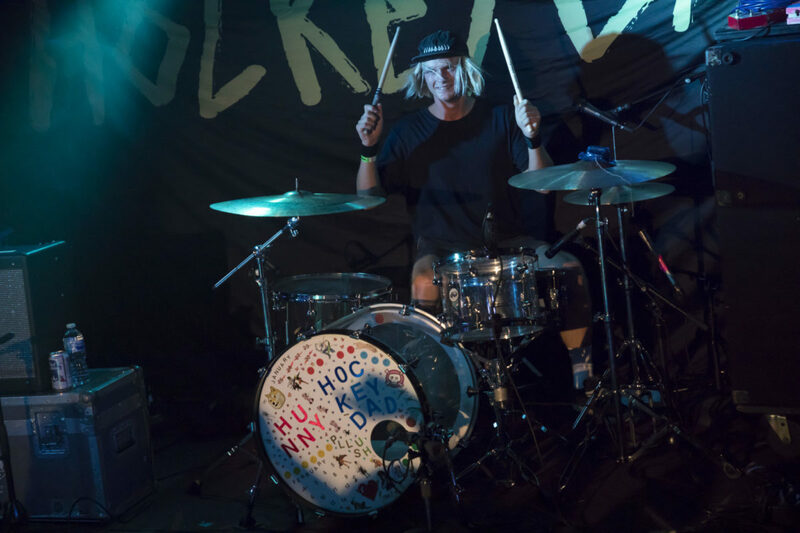 With this tour, Hockey Dad and Hunny combined forces to create a sweaty masterpiece of a show where fans wouldn’t get bored for a second. Those who missed the show or want to live it all over again won’t have to wait long. Stephenson told The Phoenix Hockey Dad plans to release new music by year’s end. “There’s probably 20 half songs that will end up being parts of other songs. We have to get in there and stitch them all together,” Stephenson said. Hunny also hinted at a return to Chicago over the summer. Hockey Dad’s “Blend Inn” is available to stream and buy on Spotify and iTunes. Your trading system needs to own money management as highly. So what do you say maybe it was your success or failure?